“Though the theme was far from new,” summarizes biographer Harrison Kinney, “Thurber handles it with a greater universal application than anybody before or since.” Soon after the story’s initial appearance in The New Yorker, it was reprinted in Reader’s Digest (twice), Life, Scholastic, and This Week Magazine. The selection was also included in Thurber’s best-selling collection, My World—and Welcome to It (1942). 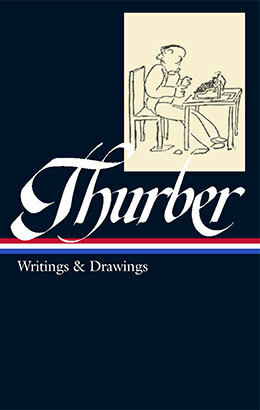 Throughout the war, anthologies of Thurber’s writings were issued as Armed Services editions, and the story became a favorite among American soldiers. Kinney explains, “World War II flyers used ‘pocketa-pocketa’ in radio code; planes and vehicles were named ‘Walter Mitty’; airmen formed Walter Mitty clubs; troops used ‘Walter Mitty’ as passwords.” During the 1940s Charles Laughton recorded an audio version, and Robert Benchley created a radio production. And, of course, the story was adapted for the big screen, first in the 1947 film featuring Danny Kaye and, now, in an updated major motion picture released this week with Ben Stiller as director and star. “We’re going through!” The Commander’s voice was like thin ice breaking. . . . If you don't see the full selection below, click here (PDF) or click here (Google Docs) to read it—free!